You have been asked this question almost every time a B’z album and single hits number 1 in Japan’s Oricon charts. 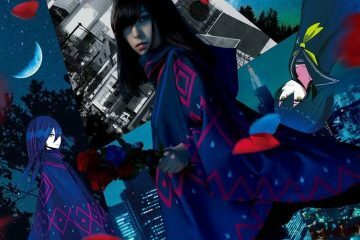 With your 50th single Go For It Baby – Kioku no Sanmyaku- also taking first place in the Oricon charts, how does it feel now? Tak : I’m so glad that our 50th single could take first place again. I really appreciate the support of the fans. Koshi : Besides making a song that we’re satisfied with, all the effort from management, marketing team and the staff also made it a success. And of course, we could not have done it without all the fans who buy our songs. I appreciate everyone. Over the years, have you felt additional creative pressure as artists from being the best selling artists of all time in Japan to date? 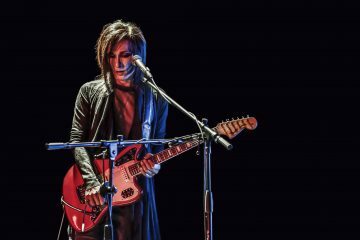 Tak: I have never felt pressure to produce the singles. We just keep creating and doing what we do best. Koshi: We don’t have much pressure to produce a hit song. But we always have our pressure to satisfy ourselves with the songs we write. Throughout your individual solo projects, both of you have collaborated separately with other artists, but to our knowledge, you have never collaborated with other artists as the group B’z. Why is this so? Tak : I don’t know why we haven’t collaborated with any other artists yet. We’re always wide open to the wonderful opportunities. Besides the range of Rock, Blues and Pop music that is signature of B’z albums, have you thought of implementing other music genres into B’z albums, for example, Jazz or Soul? Tak : Yes, we’ve been trying that since 90s. Please listen to our album called “7th Blues” if you’re interested. After working with American music legends like Larry Carlton, Stevie Salas and Slash, as well as the latest self-titled digital release, is B’z considering breaking into the international market? For example, a world tour for your 25th Anniversary next year? Tak: I’m sorry to tell you we currently don’t have any world tour planned, but we’re touring all over Japan next year for 25th anniversary. I hope we’ll be back in the U.S. soon. Koshi: Though we have a 25th anniversary tour in Japan, I would like to keep the stance of being able to perform anywhere in the world. What was the main inspiration for your latest single, Go For It Baby – Kioku no Sanmyaku? 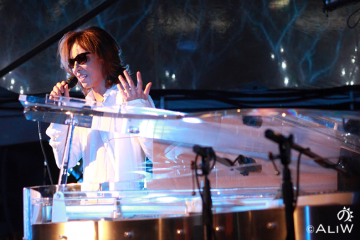 Tak : It was very simple.”Just rock!” I wanted to write a rock song which is suitable for to live a long time. Koshi : Regarding lyrics, the theme is that people live their life strongly tied to their memory. How did you decide on the song selection for the self-titled English digital release, B’z? 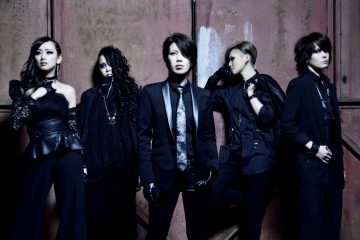 Tak : We started to discuss and make demos for the EP since February 2011. Koshi did a great job selecting the songs. 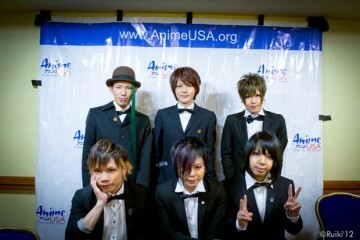 Koshi: Our Drummer Shane helped me a lot. We discussed which songs would work best with English lyrics. What was one of the most memorable moments from each of you for filming a PV? Tak : The most memorable and most difficult was shooting the debut single PV in 1988. We shot in a hard storm on the coast from before daybreak through the sunrise. After that, we moved to the studio. We kept working for 24 hours almost without a break. Koshi : “Juice.” It was fun to play the song live in a parking lot kind of space surrounded by the buildings in Sapporo. Question for Tak: In Maryland, you did a partial rendition of the Star Spangled Banner. What was the inspiration for this interlude? Tak : I did it to express my respect and thankfulness for the US. We have some fan-submitted questions. When was the last time you laughed really hard, and why? Tak: On the US tour, I had a party in a crew’s hotel room in Silver Springs and everybody was so drunk. That was so much fun! My manager said I was sleeping in a crew’s suitcase. What was the most dangerous thing you have done? Tak : When I was a little boy, I jumped off a high wall opening an umbrella. Say something for your American fans! Tak: Thank you so much for reading about us. We keep trying to create good music and hope you enjoy it! Koshi: Thanks for your support! If you are interested in B’z, please check out our new EP! Our thanks to B’z for taking the time for us. 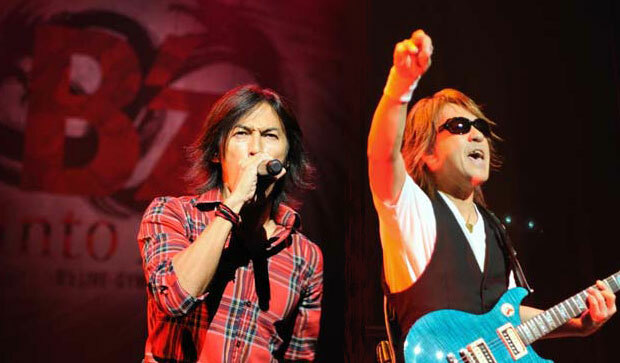 Check out our B’z coverage on their recent Into Free North American tour! The New York and Los Angeles reviews include great concert photos!